Metamaterials are a new and emerging technology with vast potential to reshape our views on what is and isn’t possible in this physical world of ours. Unlocking the mysteries and overcoming the obstacles associated with metamaterials would lead to a host of technological advances once thought impossible by even the most imaginative of individuals. From making computer chips smaller and faster than the most advanced current ones, to protecting structures from earthquakes, to developing imaging technology that doesn’t harm tissue (to replace x-rays), all the way to cloaking (also known as invisibility), the applications of metamaterials are exciting and boundless. However, the structures of metamaterials are enormously complicated, and in each area, there are significant obstacles to overcome. COMSOL Multiphysics has been used in research to solve the problems associated with these applications. Imaging technology is used extensively in the medical and security fields. We’ve all had x-rays taken in the doctor’s or dentist’s office and had to put on the lead covering to protect ourselves. Airport security is a primary concern for travellers, and the screening process could use some improvement. With the help of metamaterials, Terahertz (THz) imaging could become commonplace. This imaging technology is superior to the current methods because it can penetrate non-metallic materials without damaging tissue or DNA. 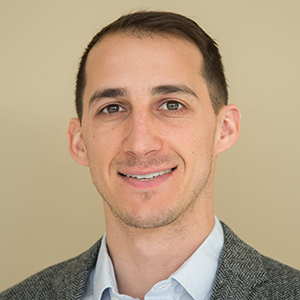 Fabio Alves, a researcher from the Sensor Research Lab, led by Professor Gamani Karunasiri, at the Naval Postgraduate School (NPS) in Monterey, CA has been looking into this technology to improve it and make it available for widespread use. They have been developing metafilms (thin films based on metamaterials) to enable less expensive imaging devices. 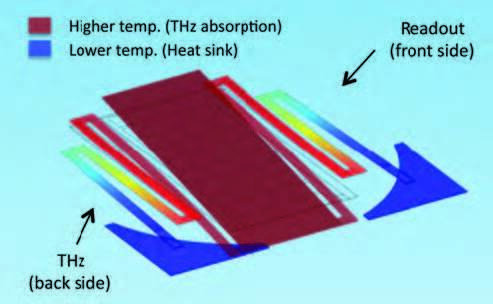 COMSOL simulation (deformation analysis) of the Bi-material sensor integrated with the THz sensitive metafilm. The metafilm in the center absorbs THz and transfers the heat to the multifold legs that bend proportionally to the absorbed radiation. The amount of bending can be accessed using optical readouts. Image courtesy of Fabio Alves, Sensor Research Lab, Naval Postgraduate School, Monterey, CA. Metamaterials: Reality or Science Fiction? With today’s scientists, it can be hard to tell one from the other. Possibly the most exciting and publicity-generating application of metamaterials is the area of cloaking and invisibility. The Center for Metamaterials and Integrated Plasmonics (CMIP) at Duke University, led by David R. Smith, is a leader in metamaterials and cloaking research. They have even been featured in mainstream books such as “Physics of the Impossible” by Michio Kaku, a theoretical physicist. 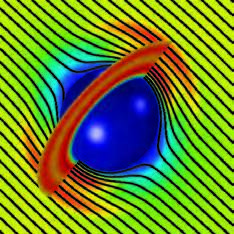 Through the years of research on the subject of metamaterials, they have concluded that simulation is an essential tool when working with metamaterials. This is due to the arbitrary, inhomogeneous, time-dependent, and nonlinear electromagnetic properties of metamaterials. Hydrodynamical cloak: a porous metamaterial shell that eliminates wake. Designed and modeled with COMSOL Subsurface Flow and Optimization Modules. Image courtesy of Yaroslav Urzhumov, Center for Metamaterials and Integrated Plasmonics, Duke University, Durham, NC. To learn more about the research and background of these pioneering technologies, as well as the exact usage of COMSOL within the applications, check out page 3 of the IEEE Multiphysics insert.